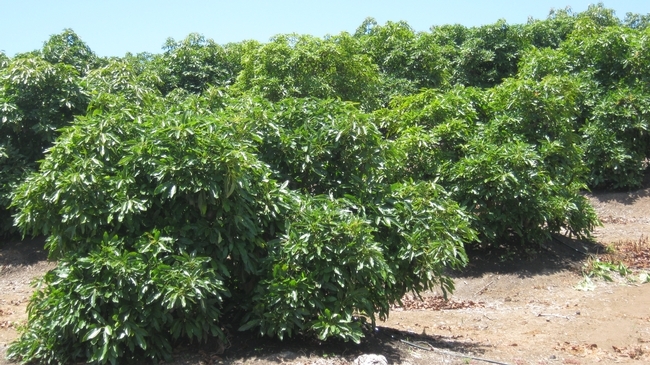 Here is a system of avocado pruning that seems to be working for the grower. He has been keeping his 12 year old ‘Hass' planted on 16 x 16 to 8 feet high by pruning out center limbs each year. 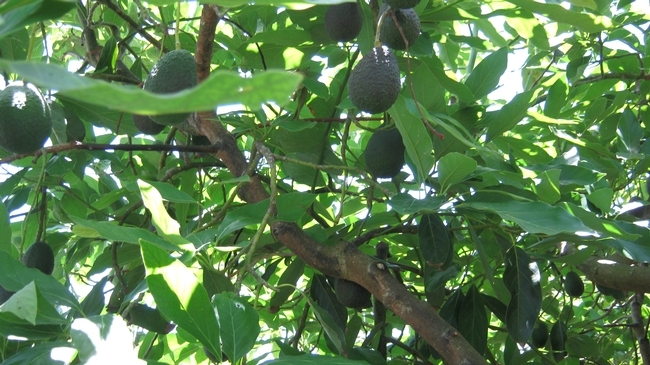 He leaves some to flower and fruit the next year, then removes those with the fruit once they pass maturity in January. The cost of the pruning and chipping is about the value of the fruit that is harvested off those limbs. 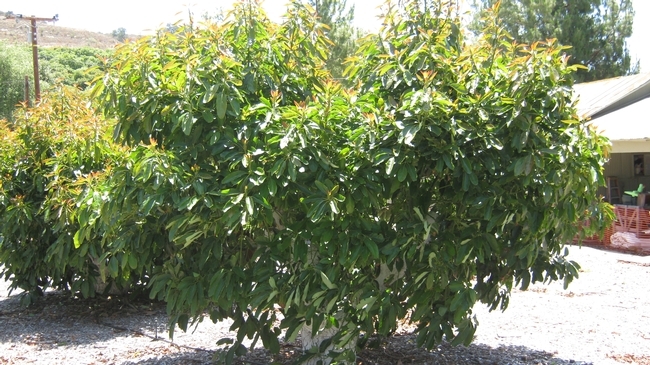 On older trees that were planted in the 1970's are treated in a similar manner. The trees were scaffolded to 5 feet and once tamed, have been allowed to grow in a similar fashion as the 12 year old trees. 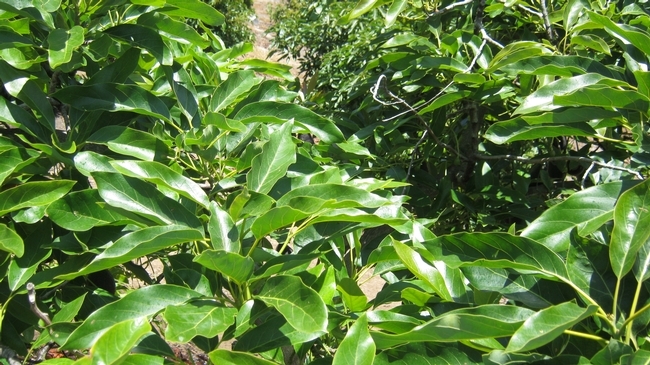 Both tree ages are productive throughout the canopy. In the spring, the trees are size picked from the ground with picking poles and as necessary with short ladders. In the summer they are stripped. The key is yearly pruning. I have been somewhat disenchanted with this style in the past because the centers would fill up so fast. In this case, the trees are kept short to keep light throughout the tree and the yearly pruning keeps opening it up.